My partner and I spend a considerable amount of time each year in El Salvador establishing relationships and renewing friendships. As with any friendships, the more time we spend with our friends, the more comfortable we are in sharing with one another, and the more we learn about each other. This takes place during several conversations often over meals. It is during the relaxed follow-up to the follow-up to the follow-up time together that we really get to the hearts of our friends’ situations. We certainly learn about the tough, often gut-wrenching, daily decisions our friends need to make. Our friends do not complain; they simply mention in passing in a matter of fact way what is happening in their lives. We try to be as supportive as possible of them. They may ask for guidance. They may simply be reporting what has already happened. The important point is that we keep the lines of communication open. 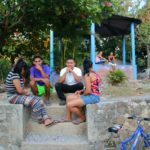 By sharing some specific examples of daily decisions our Salvadoran friends struggle to make, you, our readers, might also become more aware of the daily struggles of Salvadorans. The following examples are a composite of several different friends’ difficult choices. They illustrate the reality in which Salvadorans live. By comparison, I offer what my equivalent choice would be – if I even have a similar situation. I hope as you read through these challenging circumstances, you might think of your own situation and the choices you have or would make and come up with your own conclusions. Do I encourage my child to participate in church youth activities knowing he has to cross gang territory and risk his life to get to the church? Do I drive my teen to church youth group or allow him to drive himself? Do I give my houseguest a deadline to leave my home because of the chaos he is causing knowing his only alternative is living on the streets? Do I give my houseguest the ultimatum that it’s time to leave but offer alternatives of several area shelters he can go to instead? How do I support my worship community who lost four more young men recently– two to gang killings and two to kidnappings during a brutal surprise attack? Do I attend the 8 AM or 10:45 AM worship service? Do I pay the extortion the gang is requiring of to keep my business open? Do I save a few dollars by shopping at a big box store or spend a little more to keep a small local business open? Do I send my daughter to study at an out-of-country university in order to keep her safe? Do I report the crime I witnessed to the police since the entire community suspects they are corrupt, and thus face retaliation? Do I report a crime I witnessed to the local or state authorities? Should I study at the university knowing the chances of employment after graduation are no greater than without a degree? Do I study at a liberal arts college or a state school? 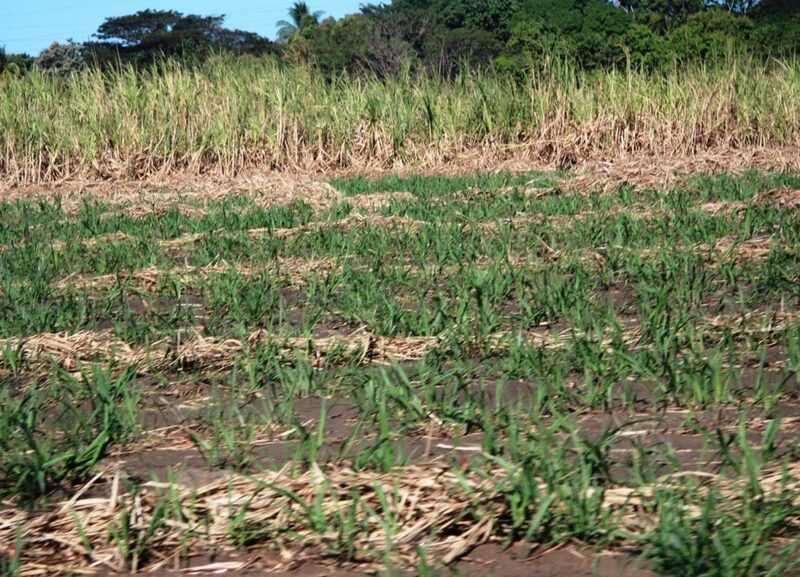 I have discovered through extensive research that harmful chemicals outlawed in the U.S. continue to be sprayed on the sugar cane fields, leaching into the soil and ground water and perhaps causing chronic kidney disease among entire communities. Through our efforts the general assembly approved banning them, but this ban was vetoed. Now what? Do I, as an American, purchase products from those large U.S. companies that purposely violate the health and welfare of people in underdeveloped nations? Do I serve God or the hierarchy within the church who are taking advantage of my time by requiring me to serve in too many capacities, thus causing me to become ineffective? Do I serve on the evangelism committee or continue on El Salvador committee? Do I continue to work where I am required to live on the premises for several weeks at a time without a break to see my family and boyfriend? Do I continue working in this demanding supervisory job or return to the classroom and, as a result, can spend evenings with my family? Do we take our family out of the country to raise our children in a safer environment even though I am a successful businessman here? Canada seems more sympathetic to our situation. Do we take our family on a cruise or “do our own thing” vacation this year? The public high school I attended is composed of four gangs and a student had to be a member of one of them to survive. Do I join a gang or quit school? Do I attend a public or private school? 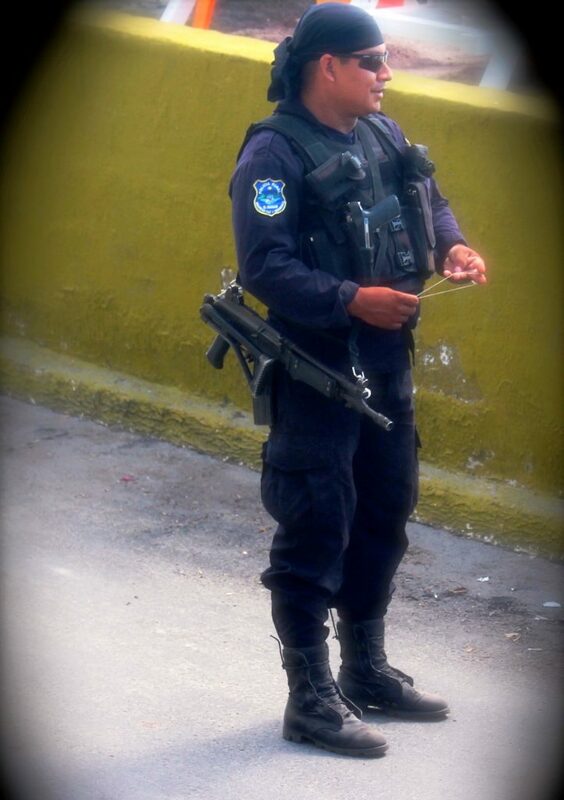 MY SALVADORAN FRIEND: Do I hire armed guards to protect my property, family, business? Do I install ADT, Xfinity, Protection 1, 1st alert, Frontpoint, or any of the dozens of home protection products available? I want my business to expand. Do I accomplish this by opening a subsidiary company, thus sending money away from El Salvador, or do I struggle to maintain my business here? Do I support businesses in El Salvador whose roots are foreign investors now moving into the tourism industry and destroy ecosystems and lifestyles? Do I finish the final year of my contract as a missioner here and then choose some safer location or extend my present contract because of the great needs I see here? Do I return to live full-time in El Salvador or just travel back and forth to be in solidarity with the people? Do I return to El Salvador next year if health allows? Salvadoran needs do not decrease, only increase, and we have a commitment to the people, or do I remain safe working for Salvadorans from my comfortable home from afar? I recently discovered that I have a serious physical condition. Should I have it treated outside the country where options for survival are better? Many years ago my vehicle was targeted because I refused to pay extortion. Family members were injured during the attack. I lost all my money paying their medical bills. Do I hold a grudge or move forward? My closest situation was my car being hit in a parking lot while I was in a store and then MY being blamed for backing into it resulting in my insurance paying for damage and raising my premiums. Do I hold a grudge, change insurances, or move forward? I have six years training as an auto mechanic and airline mechanic. But I am currently unemployed. What do I do while I am unemployed- study another skill for a back-up career or wait for a job to come up in my current field? Do I wait for a job in my current location or re-locate to another area of the U.S. for a job? Do I marry young like most of my friends or wait until I am 30? Do I go through college in three years and marry immediately to take turns putting one another through grad school? I have made some poor choices in my life. How do I turn my life around so that others will give me a chance with procuring a job and finding housing? Growing as a result of my life experiences has made me a stronger person. Sometimes the people I thought would reach out to me never did, but others appeared out of nowhere and filled the gap. Do I appear and fill that gap for those persons who are reaching out in their times of need? CONCLUSION: These situations our Salvadoran friends face represent very real decisions in their lives daily. Sadly, I could go on for another 10 pages of examples. As I reflect on the nature of the similar choices and the options faced by my Salvadoran friend and me, I have realized again what a privileged and charmed life I lead. How easy it is for me to retreat into my insular little world removed from others where I can easily choose to avoid or shut down. Sometimes I force myself to get out and make myself available. I can justify my lack of involvement by telling myself that others will help my local friends. There are other resources, professionals, or agencies which are better qualified available to them. Working in El Salvador is a reality check for me. Although NGOs (non-governmental organizations) are doing their best there, the vast network of resources is unavailable to the common citizen. They still need help on an individual basis. Even we Americans with good listening ears evoke appreciation when we visit. Unfortunately, it is not until I sit down across the table listening intently to a Salvadoran friend that I come to understand the breadth and depth of the world in which he or she lives and the difficult day-to-day decisions each faces.